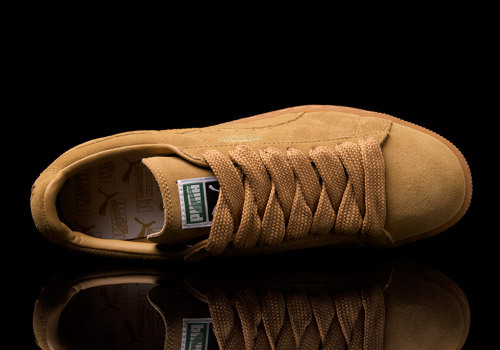 The PUMA Suede is an icon in many circles, a must have for any B-Boy, a necessity for old school hip hop fans, and a great choice for anyone who just wants a pair of PUMA’s. An influential shoe from its original release in 1968, the silhouette went through some changes and later became known as the Clyde. 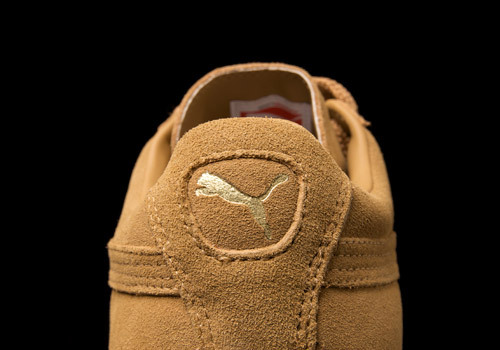 However its popularity meant PUMA had no choice but to give the people what they wanted and bring the Suede back. Since then we can all be thankful it has never gone away again. 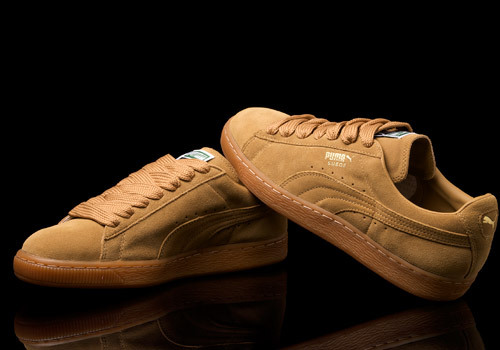 These “cinnamon” suede treats from 2010 were half of PUMA’s Gum Sole pack. 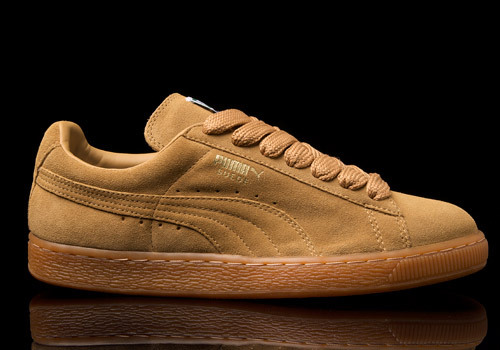 With the other colourway being burgundy, both drops do the PUMA’s classic silhouette justice. 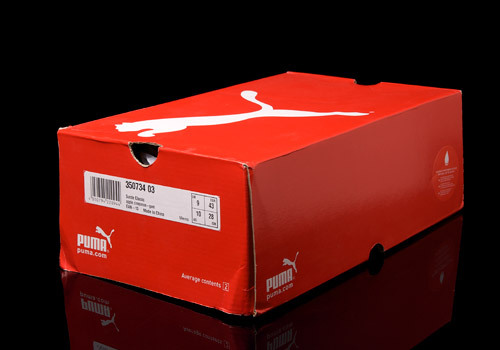 In the past PUMA had opted for a contrasting form stripe colour across the upper of the shoe and the laces, but what’s great about these is their decision to use a single colour for the whole shoe. This slight change allows the shape of the shoe to be truly appreciated. 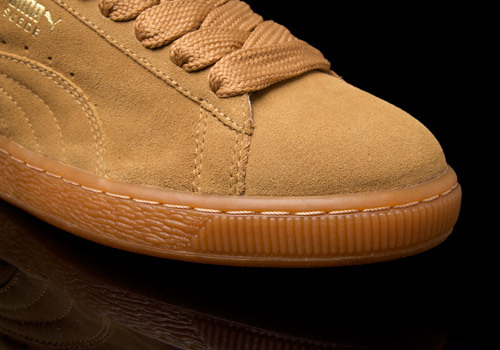 Coupled with the gum midsole, these changes set the silhouette as close to flawless as can be. 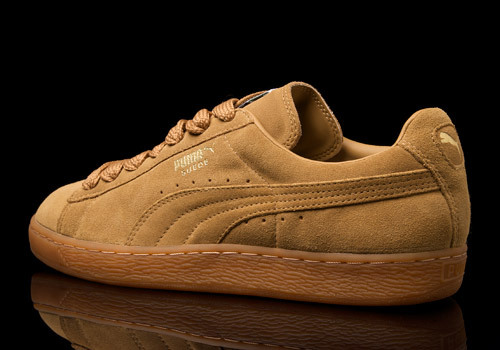 After the success of these Suede’s, PUMA went on to release more colourways of the Gum Sole pack drops. The gum midsole made it to other silhouettes including the some of the Dallas releases as well as the Blue Bird. 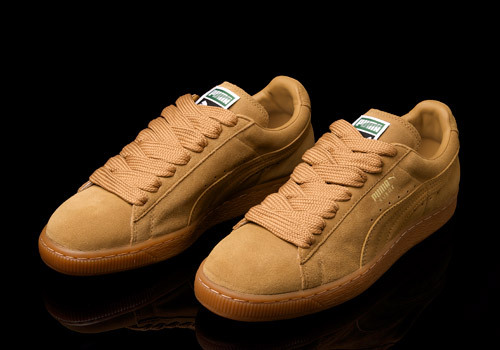 The single colour of the shoe also went on to be an influence in PUMA’s Suede Eco Pack. 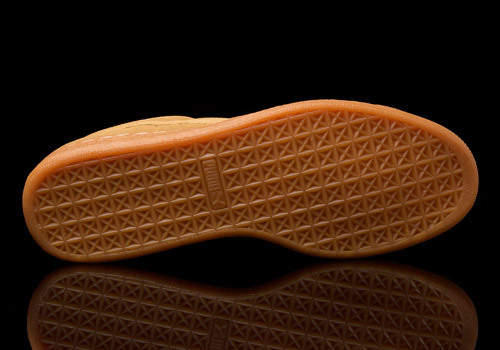 Both of these are a testament to how important the first Gum Sole pack was and still is.